Bitcoin made it to US TV this week as acomedy skiton late-night show ‘Conan’. The skit is very funny. I urge you to watch it. The premise is that Bitcoin has a Chief Operating Officer and he is going to attempt to explain Bitcoin for the layman. As such, it pokes fun at the difficulty in understanding Bitcoin as a concept. Bitcoin can at times seem complicated to the uninitiated. It can be difficult to come across concise and elementary explanations. The ability to explain Bitcoin properly, in lay terms, is important. Let’s take up that challenge. Bitcoin really needs to be more accessible, outside of technology and libertarian circles. If Bitcoin is to grow, then those less interested in its fundamentals need to understand it and its value proposition. 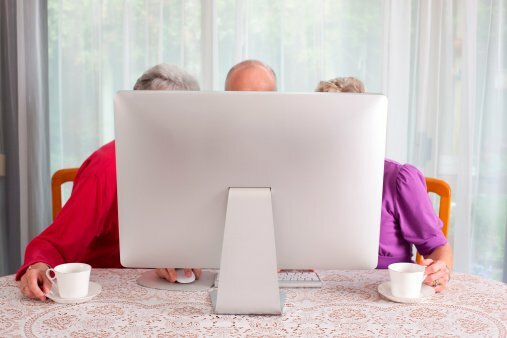 This represents an attempt to provide an explanation that makes Bitcoin accessible to your grandparents. When sending $100 to your friend you don’t mail them the cash. Instead, you tell your bank to send the money. The bank does not mail them the cash either. Rather, the bank has a ledger. The bank sends a signal to your friend’s bank to increase his side of the ledger by $100. The bank also decreases your side of the ledger by $100. The transfer is complete. The banking network is poor, so this ledger update can take a while. For overseas transfers it can take many days. It will also cost lots in fees and charges. This is where Bitcoin comes in. Bitcoin is simply a ledger too. However, this ledger is not controlled by one person, corporation or group. Instead, this ledger is controlled by a network of computers, all over the world. The Internet controls this ledger. A copy of the ledger is on computers all over the world. Anyone who wants to keep it can do so. When you want to send money to your friend, you send a signal to this computer network to update the ledger. The network increases your friend’s side of the ledger and decreases your side, just like the bank. The transfer is complete. With Bitcoin this process is instant. Yes, instant! It is free to send Bitcoins. Anyone, all over the world, can use Bitcoin. You don’t need permission to use the system. You can come on and off at will. Now of course, PayPal can send money instantly too. So, why Bitcoin? Well, PayPal is centralised. So, you have to trust PayPal. They can block your account, refund without permission and decide disputes how they wish. If you do trust PayPal, that’s fine. But many don’t. Also, remember, there are fees. Most importantly however, Paypal blocks access to over 60 countries worldwide. So, it’s not an option for lots of people around the world. With Bitcoin the money you are sending isn’t Dollars, Euros or Yen. You are sending ‘Bitcoins’. Dollars are the money on the bank’s ledger and network. Bitcoins are the money on the Bitcoin ledger and network. Bitcoins are money because you can use them to buy good and services. In fact, there is very little you can’t buy online with Bitcoin these days. The ability to transfer value instantly, anywhere in the world, at no cost, regardless of the amount, is useful. There are physical Bitcoins to represent the ledger entries, just as there are physical notes, to represent the ledger entries at your bank. But in both cases they just represent the ledger entries. As there is no single entity in control of the Bitcoin ledger, only you control your money. No one can block access to it or stop you from using it on anything you want. The Bitcoins come onto the ledger via a process called ‘mining’. It is the same as gold mining. Like mining gold out of the physical crust, you mine Bitcoins out of the Internet’s digital crust. Bitcoins are very rare. There are only 12 million of them at the moment. Companies and individuals invest in very expensive mining equipment to dig the Bitcoins out of the Internet’s digital crust. As they get deeper into the Internet’s digital crust it gets harder to dig up Bitcoins. This is the same as gold. The process is exactly the same. The bank gets the dollars for its ledger from a central bank that prints far too many of them. For this reason, Bitcoin is better money.